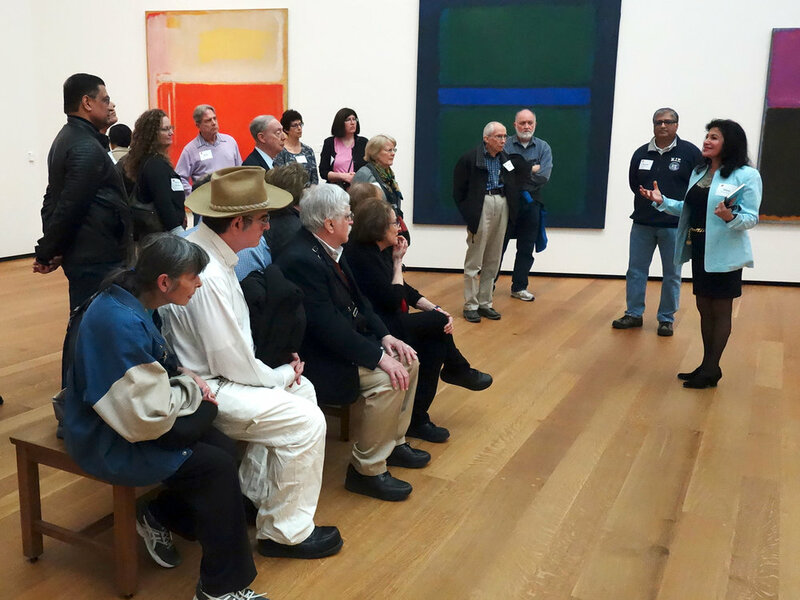 Some 45 MIT alumni and guests met at the National Gallery of Art on Sunday, April 2 to tour the newly renovated exhibition spaces in the East Building. 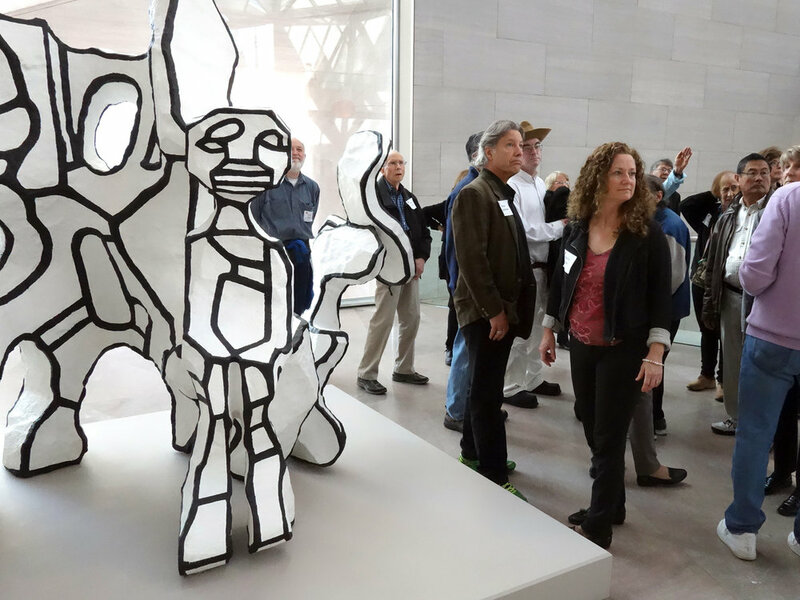 This event was organized by MITArchA in collaboration with the MIT Club of Washington D.C. to commemorate the upcoming centennial birthday of celebrated architect and MIT alum, I.M. Pei ‘40. Commissioned in 1968 and completed in 1978, the building remains an iconic addition to the National Mall in Washington honoring the historic legacy of both Pierre Charles L’Enfant, who conceived the city of Washington, and John Russell Pope, the architect of the National Gallery’s first building. 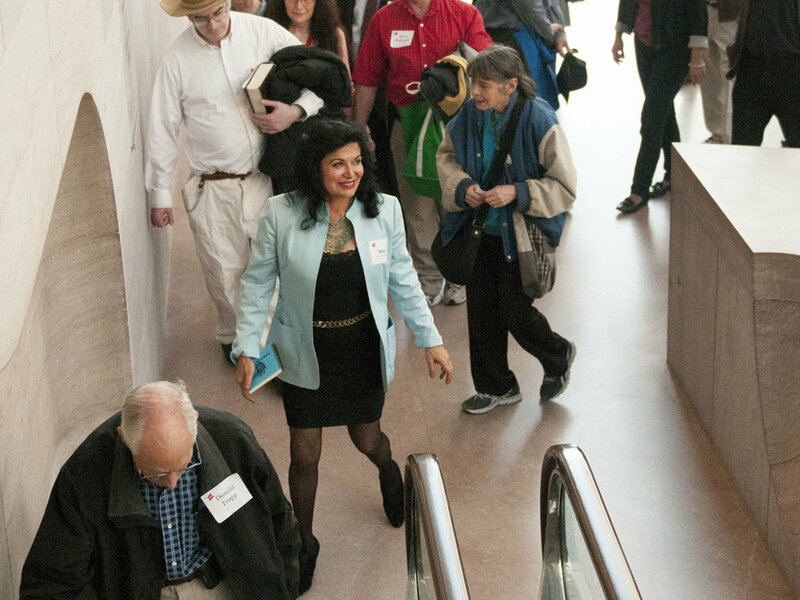 Mina Marefat, MIT alum and VP of Communications with MITArchA led the tour, which included the Library and the Center for Advanced Study wing of the East Building, rarely seen by visitors. 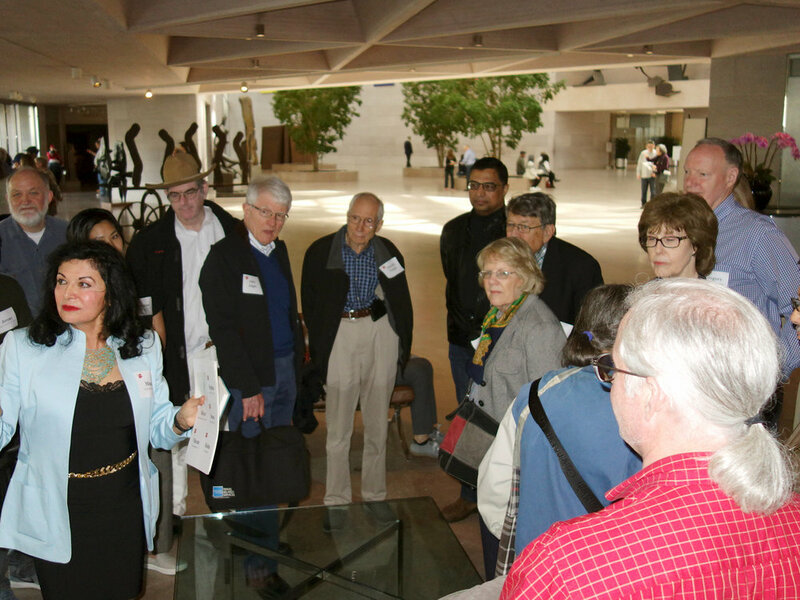 Having been a pre-doctoral fellow at CASVA, Mina discussed the museum’s scholarly mission and the successful architectural solution I.M.Pei provided in his design to accommodate the galleries and public spaces for the museum as well as administrative, curatorial, educational, and research needs. The open atrium of the library recalls the lofty symbolism found in the great libraries of the world. Pei’s groundbreaking design solved the spatial needs of the museum in a very difficult trapezoidal space through a triangular geometry resulting in a modern masterpiece that celebrates the Mall and its symbols. Setting the building in its historic context, Mina discussed the public-private partnership that has been the hallmark of this extraordinary institution through the role of its patrons, Andrew Mellon, Paul Mellon and Ailsa Bruce Mellon as well as that of the museum directors—especially J. Carter Brown, whom Mina knew personally and whose contribution was invaluable to the architectural success of the East Building. 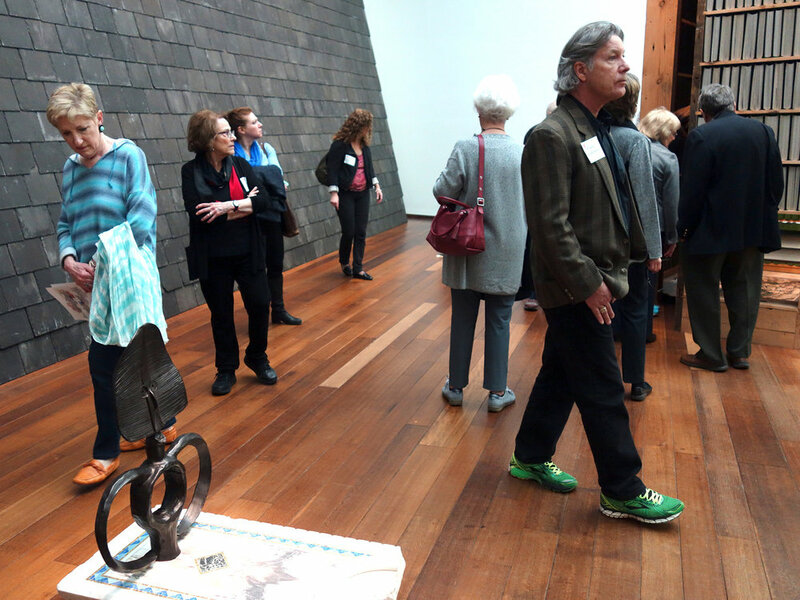 The newly renovated interior offers an ingenious solution that upgrades the mechanical systems, meets accessibility requirements, and expands the gallery space by 12,260 square feet within the existing structure. 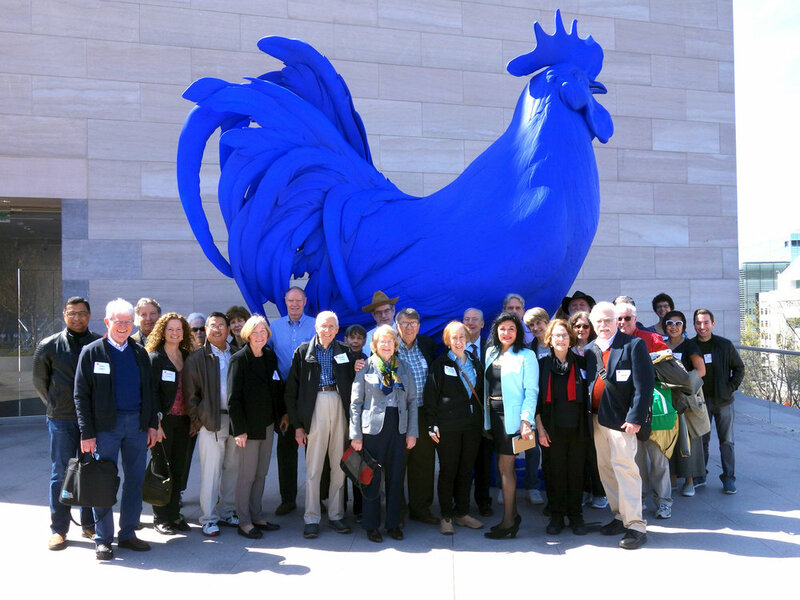 It includes the creation of an outdoor terrace that offers a magnificent view of Pennsylvania Avenue and Washington adorned with a 15-foot electric blue rooster by Katharina Fritsch. The new galleries, dedicated to Mark Rothko, to Alexander Calder, and to temporary exhibitions now showing the work of contemporary artist Theaster Gates work seamlessly with the original Pei design. 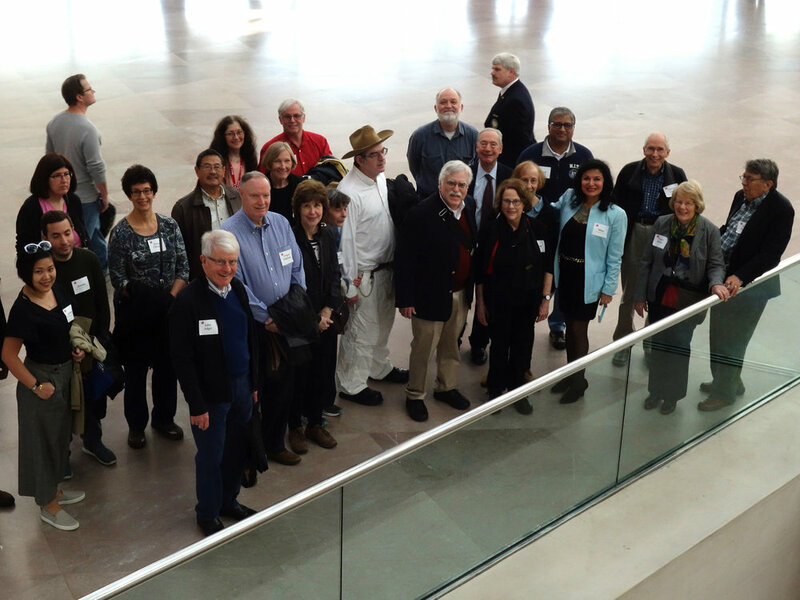 The triangular geometry of the new stairways improve access to each of the five levels in each of the three towers and while the original monumental stairs and escalators beckon the visitor to enjoy the many vistas the building offers to the city of Washington. 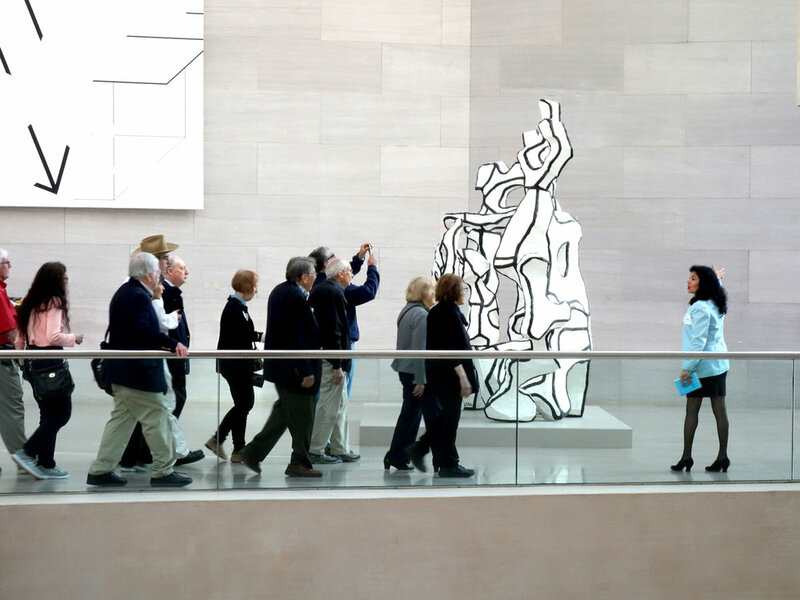 The indoor-outdoor fluidity and the sense of Zen in the main atrium, graced by the enormous Calder mobile, is magnified as the changing light filters through the large triangular skylights; it is a reminder, a space-time assurance to the visitor of both season and time of day. The East Building, showcasing the very best of our national collection of art, has aged gracefully as it reaches almost 40 and is now rejuvenated for another few decades. 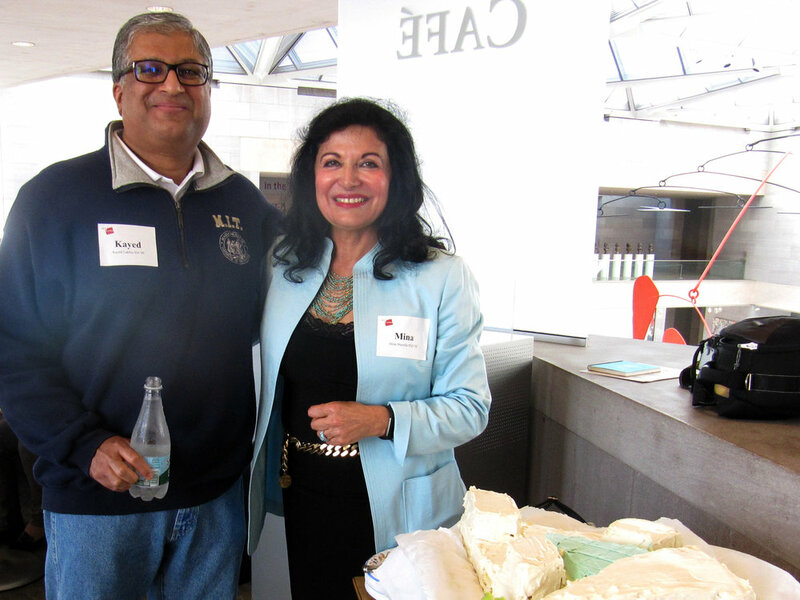 The tour ended with a gathering at the Terrace Café around a cake modeled in the form of the East Building. All attendees expressed their appreciation for the East Building and for its architect. Happy Birthday I. M. Pei! 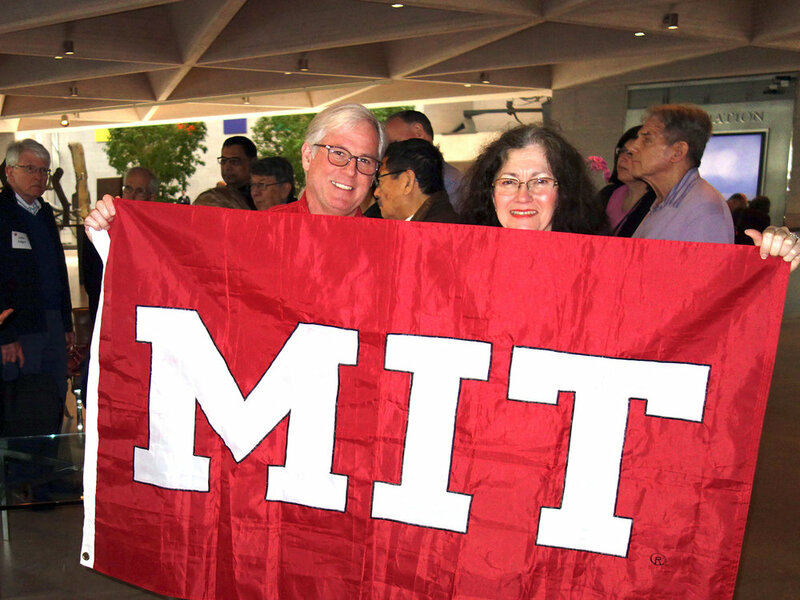 MITArchA and the MIT Club of Washington pay tribute to an illustrious architect whose contribution to Washington architecture, to world architecture, to modernism and its lasting tenets makes the MIT community proud.